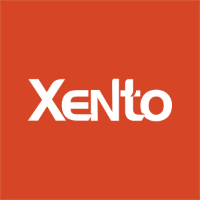 Xento Systems is looking for a PHP Developer. If you meet the requirements below, you will be eligible to apply via Digital Marketing Community. At least 1 year of working experience in PHP development. Extensive experience in MVC frameworks such as (Zend, Cake PHP and Codeignitor). Proficient understanding of (Object Oriented PHP programming). Deep working knowledge of database experience with (Postgre SQL, MySQL or MS SQL Server). Advanced object-oriented application building experience in a professional (Agile/Scrum) environment. Ability to manage a multitude of tasks, projects and information simultaneously in a fast-paced environment. Solid time and project management skills. Xento Systems is a technology solutions provider for Entrata, Inc., the leading provider of property management software in the United States. Since 2007, Xento has built a team of more than 850 world-class IT professionals dedicated to creating innovative solutions for clients located across the United States.